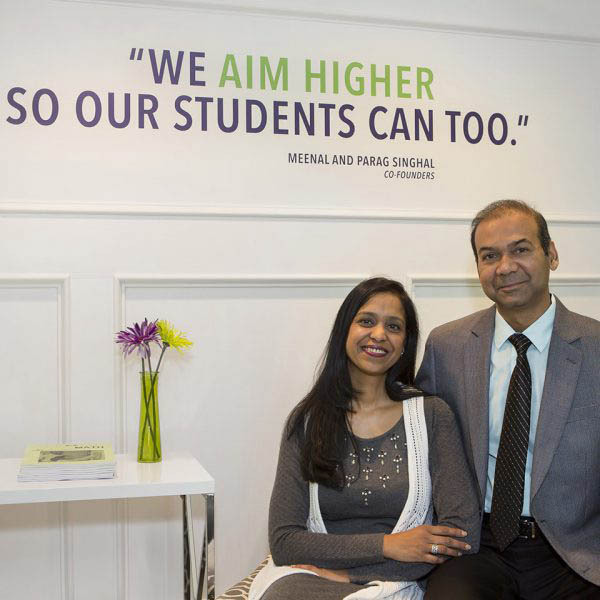 Meenal and Parag Singhal, founders of A Grade Ahead, opened A Grade Ahead of New Albany/Gahanna in 2009. Like most parents, they wanted to ensure that their children were building strong foundational and critical thinking skills that would enable them to excel in school and in life. Meenal and Parag created A Grade Ahead to give children the gift of education so they can strive to reach their highest potential, both in and out of the classroom. Located on Hamilton Road, this location is perfect for students from both Gahanna and New Albany.